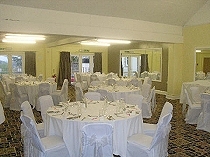 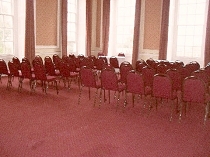 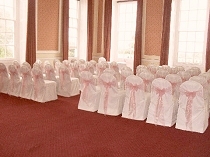 We can supply chair covers and sashes to any venue in Devon. 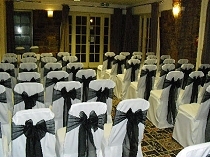 The covers come in white, ivory or black and there are about 180 different colours of sashes, so you can rely on having a striking and attractive look tailored to your flower colour scheme. 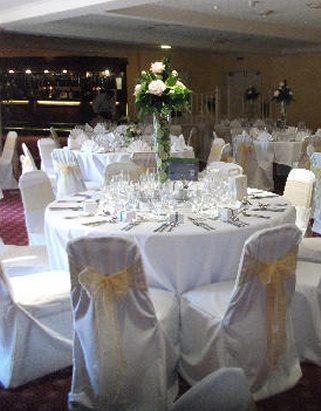 Let us follow your design through with co-ordinated reception flowers with table flowers, glass vase arrangements, fresh rose petals, cake decorations, thank you bouquets, marquee cascading flower balls, flower and greenery garlands and balloons.